A. Senciuc, I. Pluchinotta, S. Ben Rajeb (2015). “Collective intelligence support protocol: a systemic approach for collaborative architectural design”, in Luo Y. (ed. ), Cooperative Design, Visualisation and Engineering CDVE 2015 Proceedings, Lecture Notes in Computer Science 9320, Springer-Verlag Berlin Heidelberg, pp. 152-161. 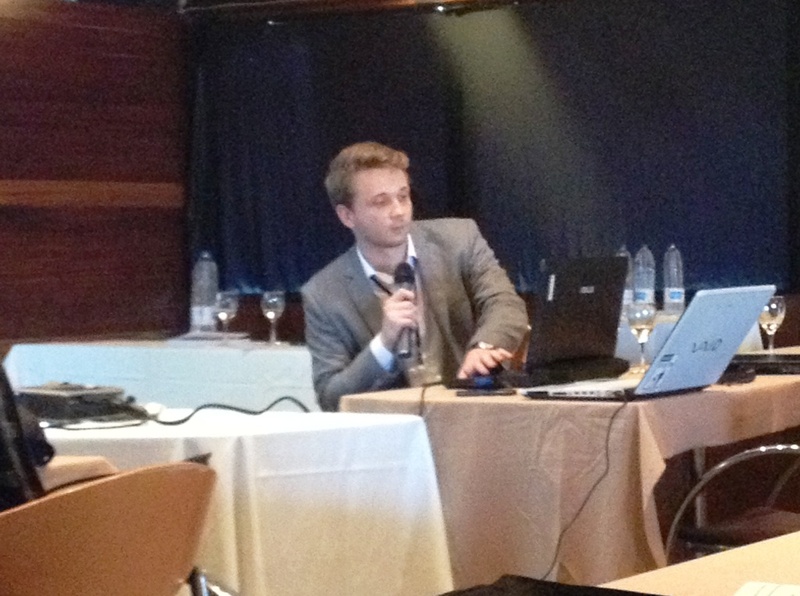 From the 22nd to the 25th of September I took part in the CDVE 2013 research conference in Alcudia, Mallorca, Spain. Together with Prof. Caroline Lecourtois, I have presented and published a short paper with the title: “Exploring collective architectural conception. Cooperation, coordination and collaboration via basic online tools”. Senciuc, A., & Lecourtois, C. (2013). “Exploring collective architectural conception. Cooperation, coordination and collaboration via basic online tools”. (Y. Luo, Ed.) Lecture Notes in Computer Science (8091), pp. 51-55. To consult and buy this paper please go to this link. Vendredi le 27 septembre à 14.30 je vais soutenir mon mémoire du DPEA (Diplôme Propre aux Ecoles d’Architecture) de Recherches en Architecture : “Modélisation de la conception collective architecturale. Coopération, coordination et collaboration via les outils web de base”. Elle va durer environ 30 minutes. Pour avoir une idée du sujet du mémoire veuillez consulter mon poster recherche. 118/130 avenue Jean Jaurès 75019 Paris (Escalator + Mezzanine +gauche gauche). Pour un program détaillé des soutenances du DPEA veuillez consulter cet article. Between 22-25 September 2013 I will be presenting a short paper together with Assistant Professor Caroline Lecourtois at the 10th CDVE International Conference, in Mallorca, Spain. Here you can find the program of the conference. I have been listed on the official page of the post-master DPEA Recherches en architecture of ENSA Paris La Villette research department. This is the first promotion of students to go through this programme.